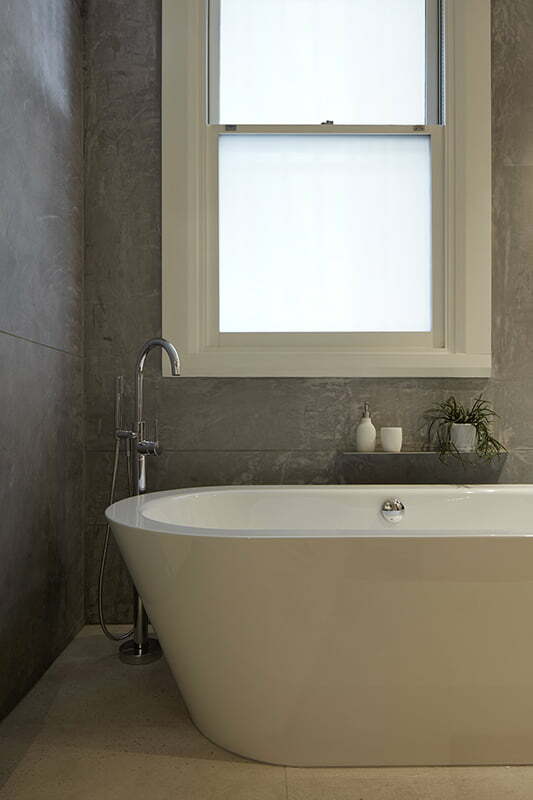 Stage one of a reworking of a double storey terrace house, this renovation to the existing bathroom needed to provide new storage and a laundry, maintain existing external access, and at the same time provide a new bathroom with a strong sense of privacy. The key question for us: how do you provide the qualities of privacy to a space that is shared but too small to subdivide? 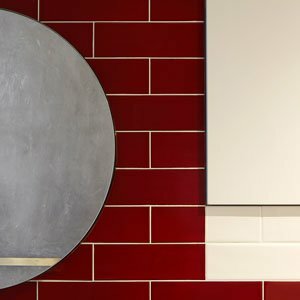 To answer this we used the one substantial intervention we had to make – a cupboard for storage and laundry – as the spine of the project. Dividing the space in half we then used differences of colour and material to give each side of this cupboard its own character. 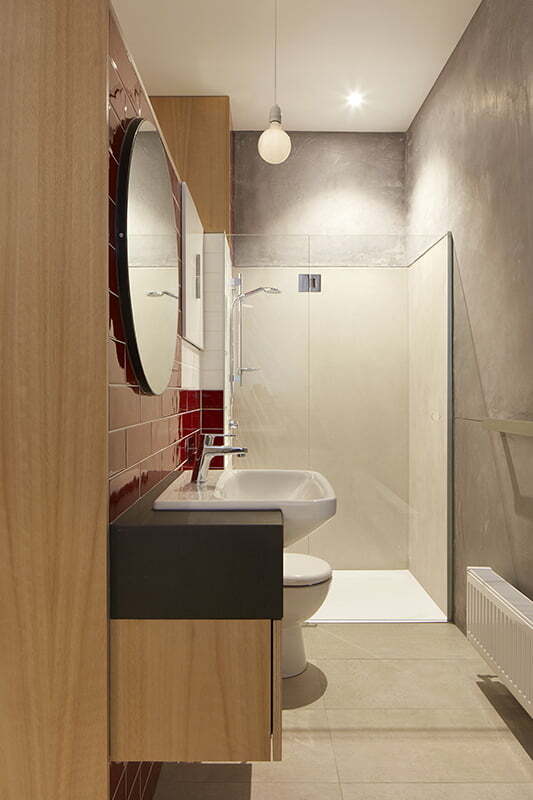 On one side, a subtle blackbutt box conceals storage and a laundry. 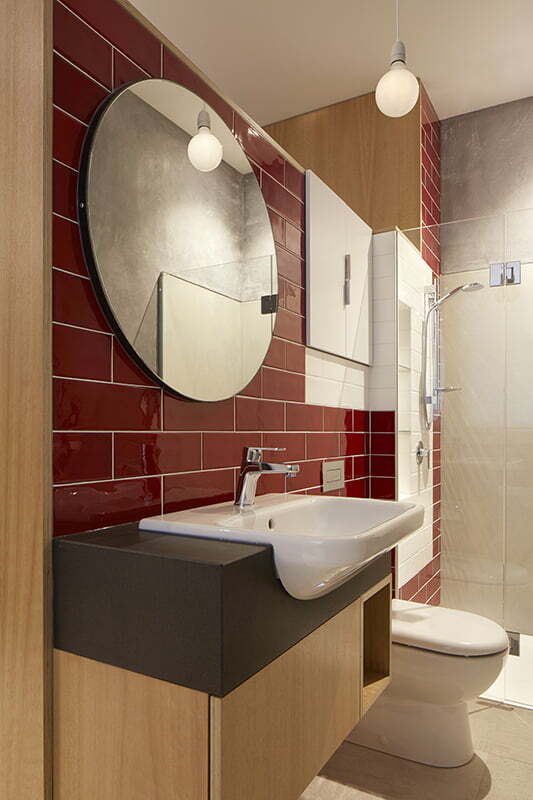 The other side, a glossy red tiled washroom, is reminiscent of mid 20th century public amenities and inspired by the client’s love of design from that period. 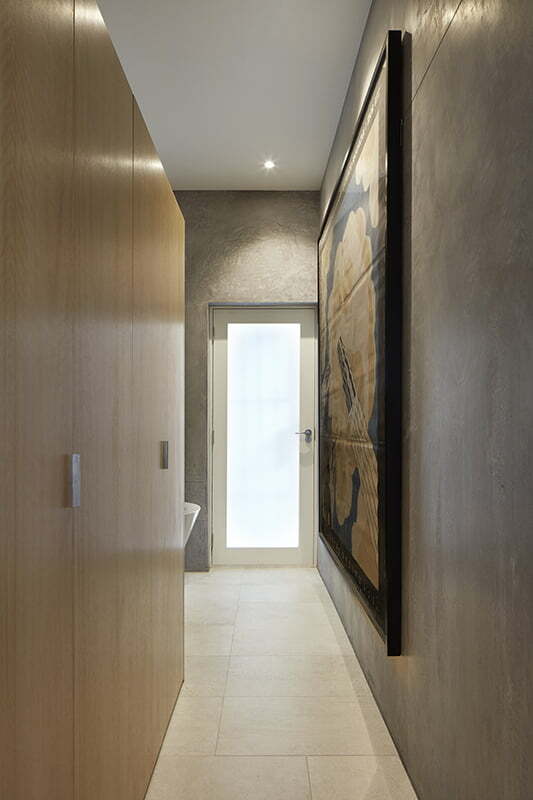 Surrounding these spaces in cement render, trowelled to a smooth finish, gives a cave-like experience within a house – a place for withdrawal into the private.